Leader Instruments Zen Series LV5600 - Fiber Group Inc. 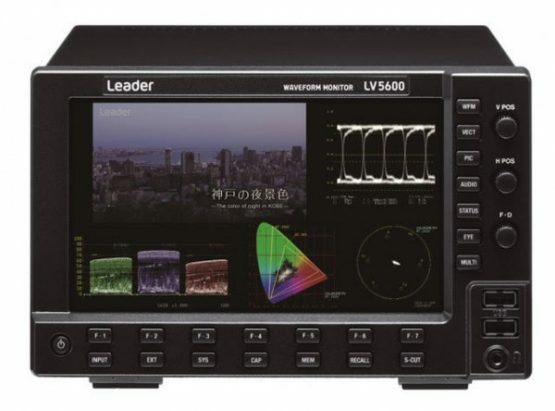 The Leader LV5600 is a mains-powered SDI/IP waveform monitor in a compact half-rack width 3U desktop chassis with a touch-screen front panel display. It provides all the facilities needed to monitor UHD/HD/SD SDI as well as video over IP signals seamlessly in a hybrid operating environment. 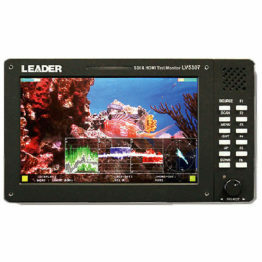 A broad set of engineering-related features are provided by the LV5600 including test pattern generation, eye pattern display, closed-caption monitoring, CIE colour chart, high dynamic range measurement, focus assist, customisable screen layout, tally interface, 4K/UHD operation, 10G IP input and 12G-SDI interfaces. SMPTE 2022-6, SMPTE 2022-7 and the recently published SMPTE 2110 protocols are all supported. The LV5600 also incorporates Leader’s intuitive CINEZONE and CINELITE which are familiar to many content production staff. 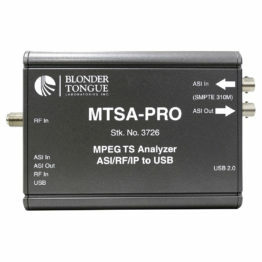 IP-specific features include the ability to monitor transmission errors such as packet loss and packet jitter, and to simultaneously measure and display SDI and IP signal sources. The LV7600 rasteriser offers exactly the same capabilities as the LV5600 but in a low-profile 19 inch 1U form-factor for easy rack or desk mounting. The LV5600 and LV7600 can be configured from a selection of interface and software-based feature options, enabling customers to specify the capabilities needed for their current requirements. Among the feature options are closed caption measurement, CIE chart display, HDR, SDI signal generation, ID/iris/tally display, 4K and 12G-SDI.